Optical illusions are images that trick our minds into seeing something different from what they actually are. Optical illusions harness the shift between what your eyes see and what your brain perceives. Your brain edits what you see before you actually see it. Stare at the black cross in the center and notice a green dot rotating. Now try concentrating really hard and steady at the cross for a long time. If you do it right, the pink dots will disappear and you’ll only see the green dot rotating. According to this article http://www.heraldsun.com.au/ if you see the girl turning clockwise, then you use more of the right side of the brain, if the girl is turning anti-clock wise than you use more of the left side of the brain. Most people will see it turning anti clockwise. 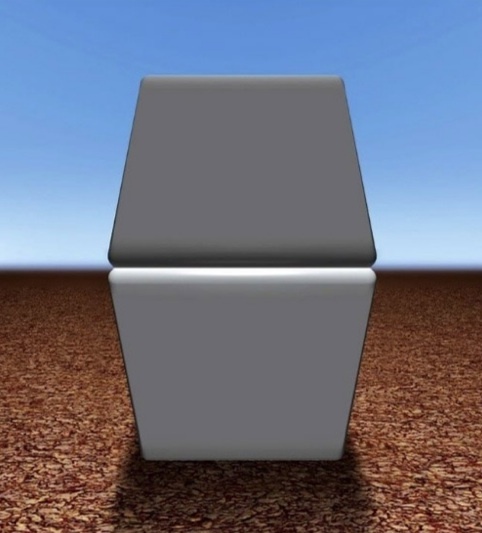 Both squares have the same grey-scale value! To see this, place your finger across the middle horizon and the two squares will ‘magically’ appear the same shade.